For several years now, AEPi has embarked on a plan to offer more for our alumni. The fraternity has been working to host a variety of events all over the country for the alumni community. 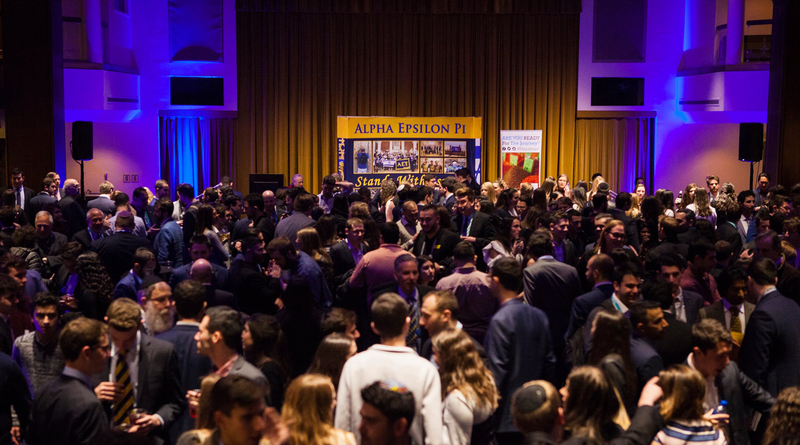 We’ve hosted information events about AEPi’s fight against anti-Semitism, networking evenings featuring some prominent alumni and purely social events. There is still a lot to do with alumni engagement but here are some of the more recent events hosted by AEPi. In January, South Florida area alumni enjoyed an evening at 26 Degrees Brewery, where co-founder Yonathan Ghersi (Florida State, 2002) hosted the group. In Chicago, local alumni enjoyed an evening of axe throwing. AEPi Foundation CEO Andy Borans even participated. There is a video floating around the internet of him actually throwing an axe, and not injuring anyone or himself. Happy Hour events in Dallas and Houston were held in early February. With an active alumni base in both cities, AEPi in Texas is as strong as ever. With a large contingent of the AEPi staff in Denver for the BBYO International Convention, an alumni meetup was hosted for our Denver alumni which was a great opportunity for our local alumni to witness firsthand AEPi’s impressive staff and speak with them about our work with BBYO. In March, AEPi will be hosting some more great events. The ‘Night of Networking’ program will be headed to South Florida on March 21 and Los Angeles on March 27. South Florida will be a great evening with featured alumnus Bob Diener (Florida, 1979), co-founder of hotels.com. Additionally, the annual AEPi Reception at AIPAC will be taking place Monday, March 25th in Washington DC for all local alumni and any alumni in for Policy Conference. If you are interested in learning more about AEPi’s alumni engagement or getting involved, please contact Director of Alumni Engagement Andrew Neiberg.